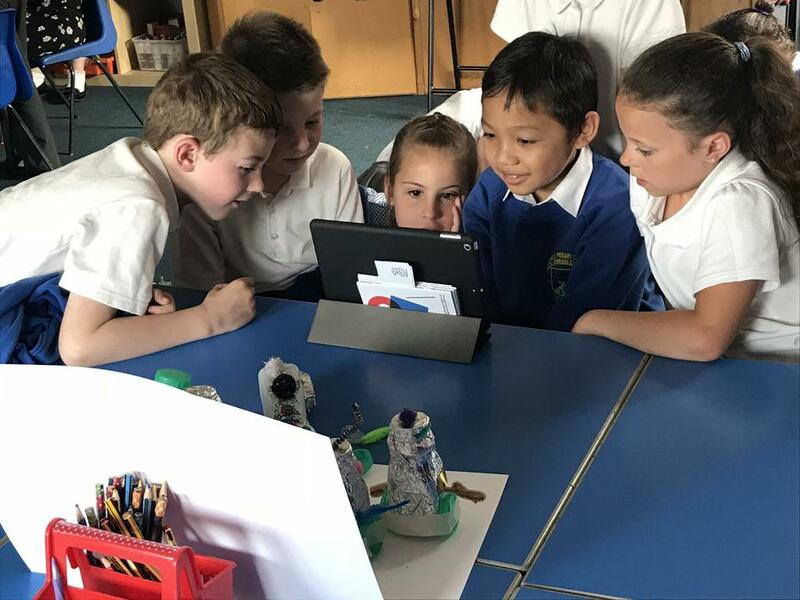 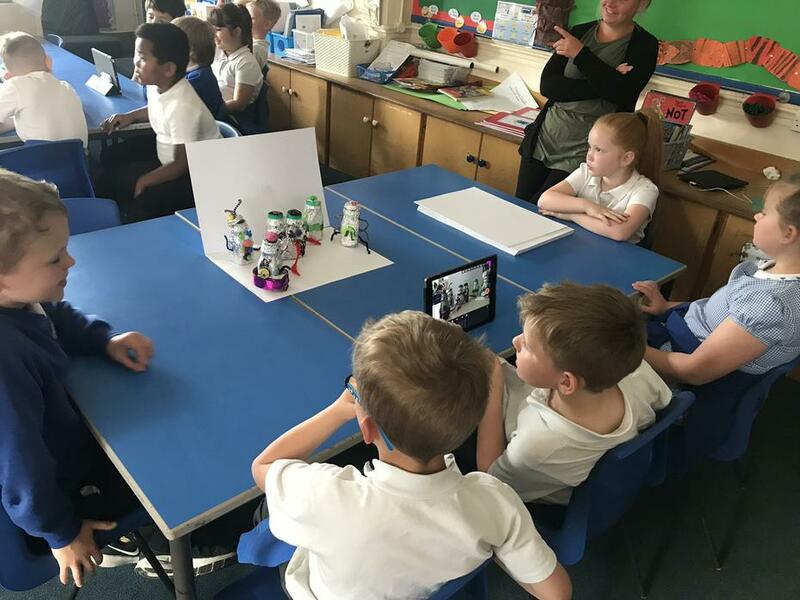 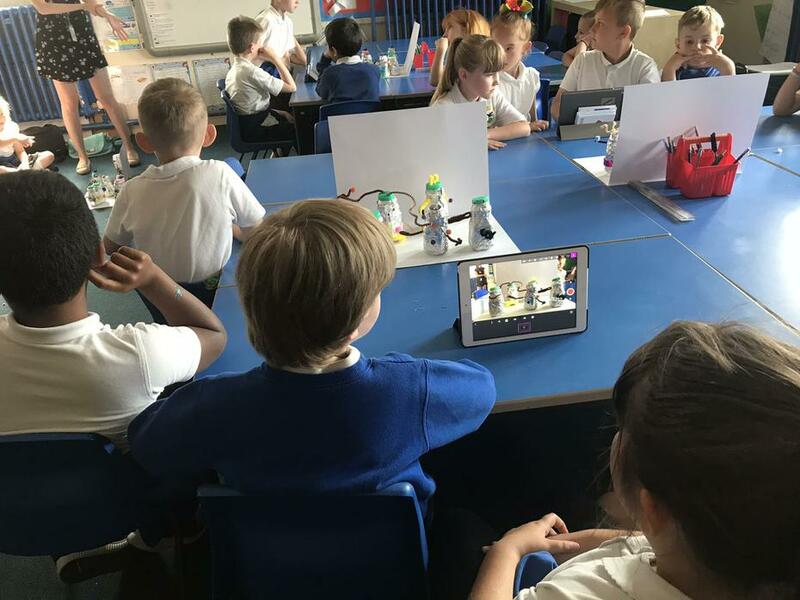 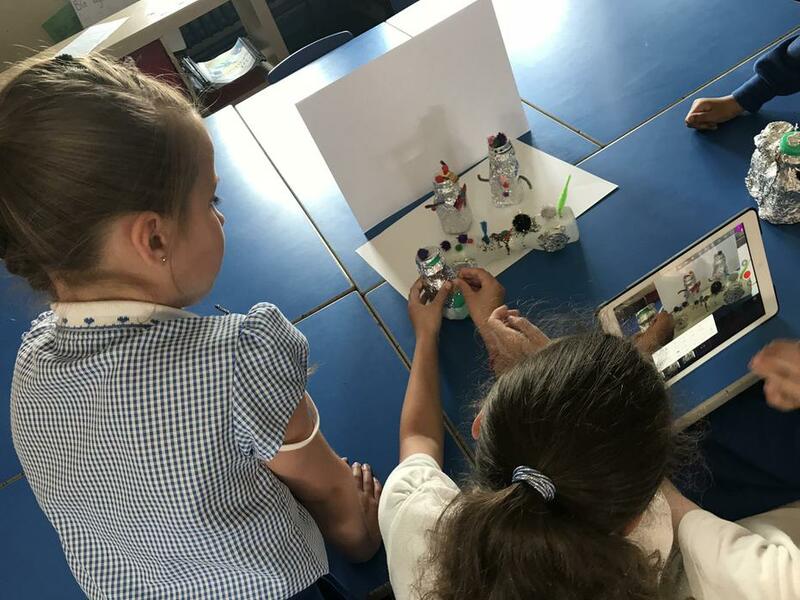 The children learnt how to create an animation using stopmotion. 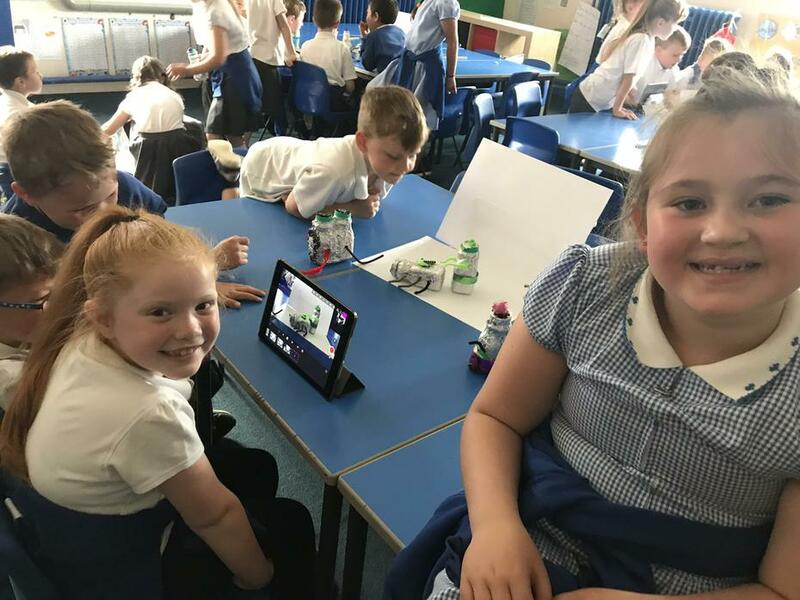 You can down load 'Stopmotion Studio' for free from the app store. 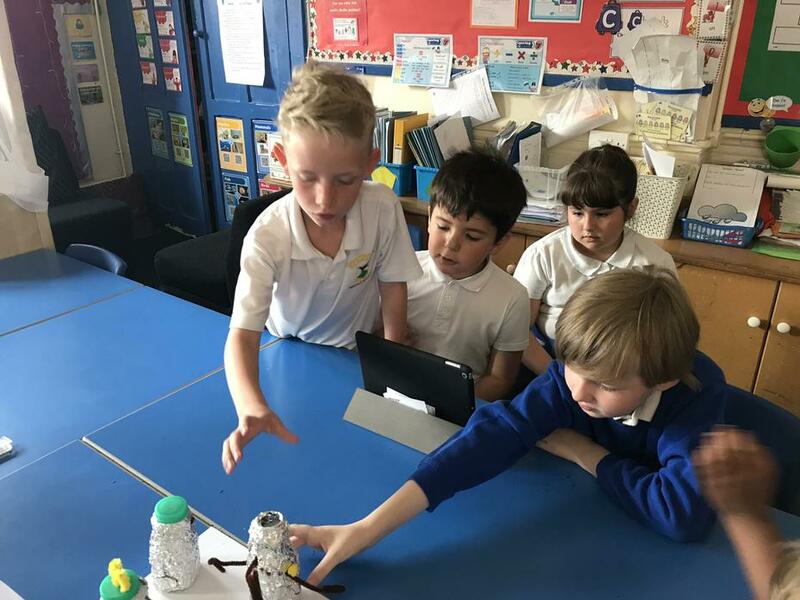 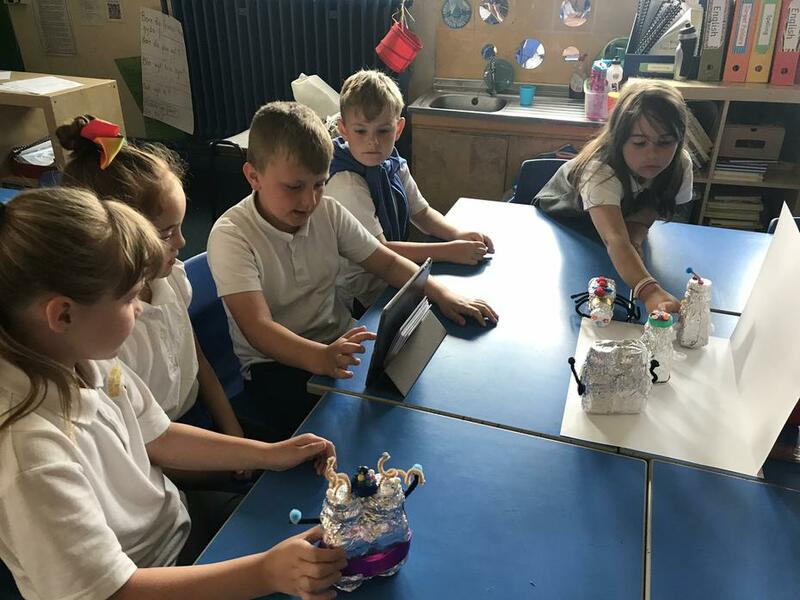 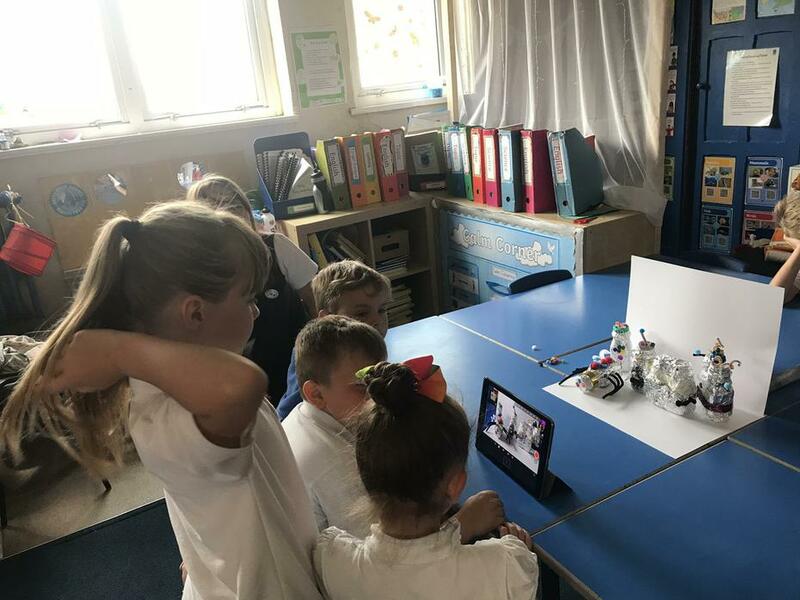 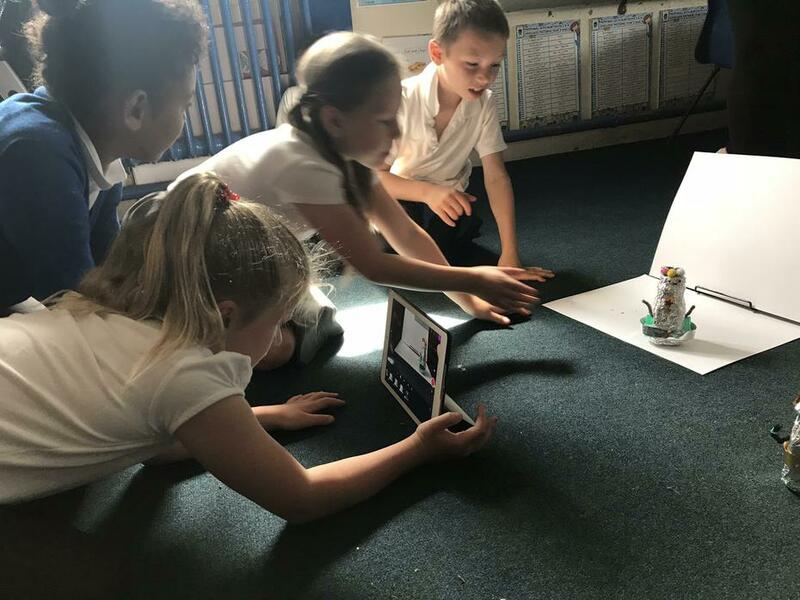 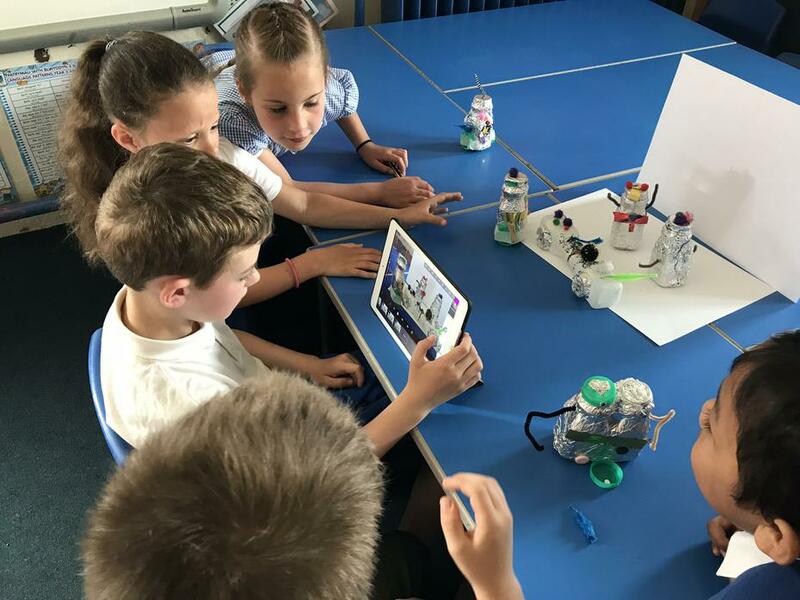 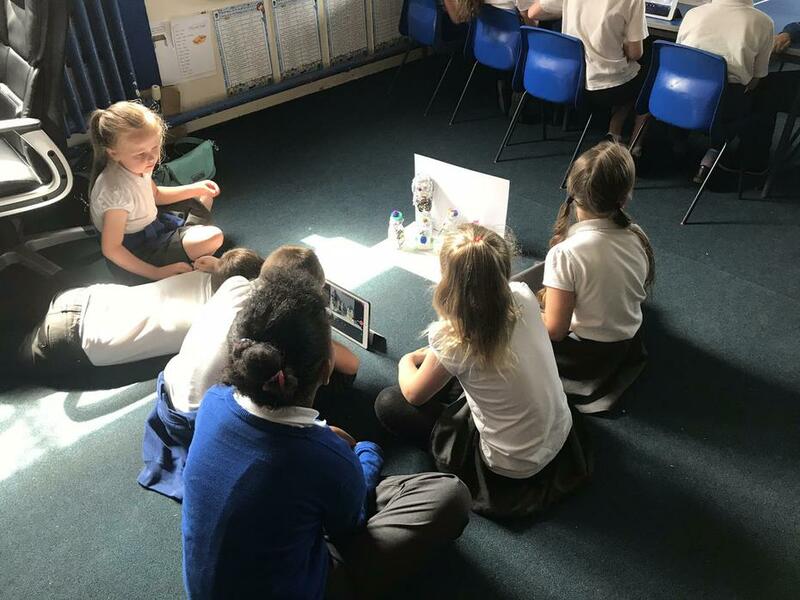 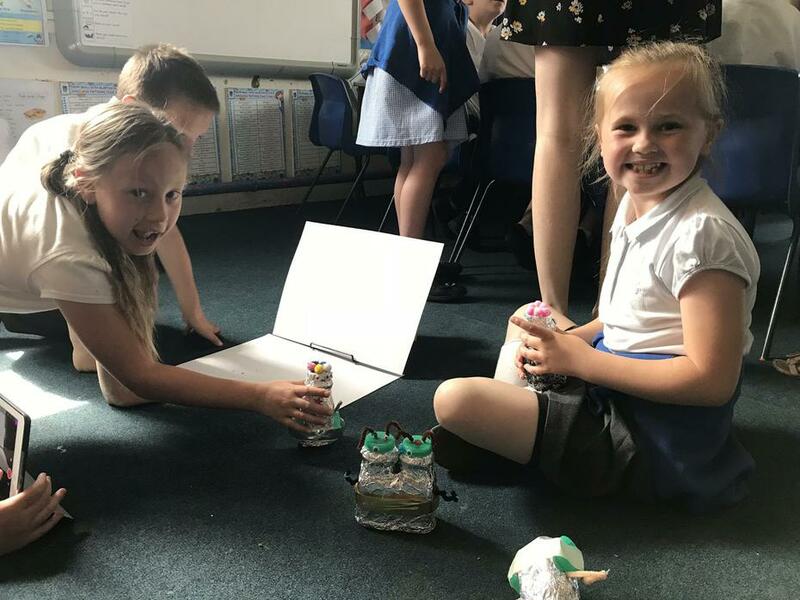 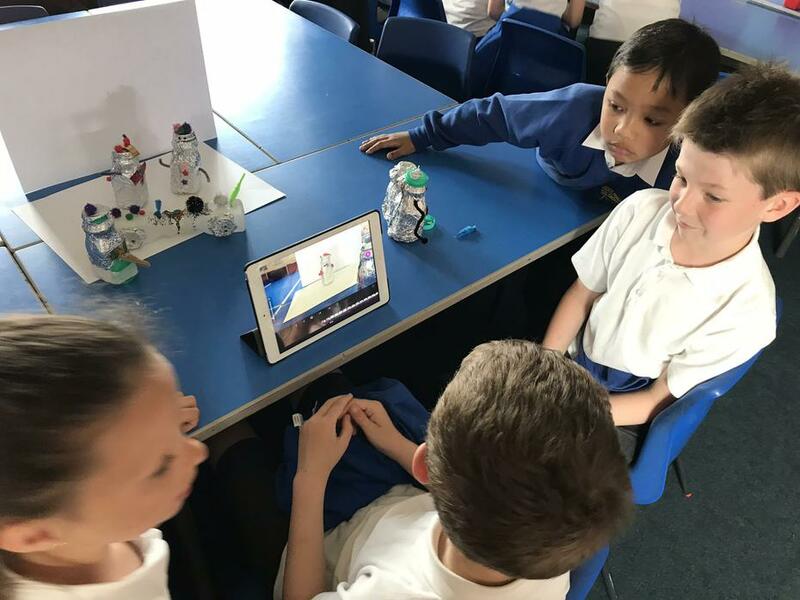 The children used the robots they created last week to make a short animation with sound effects and theme music. 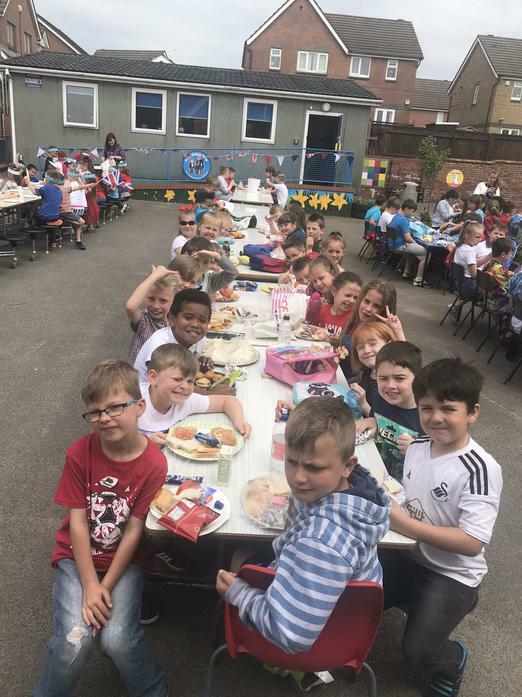 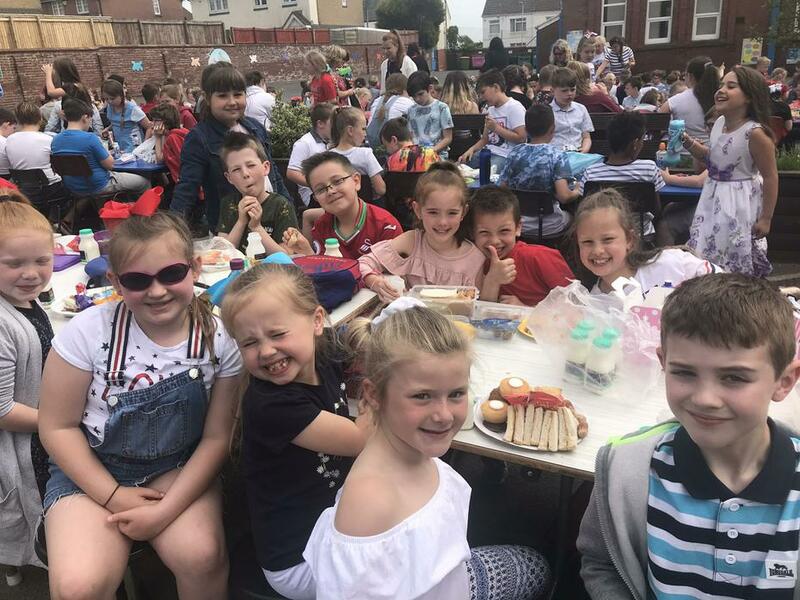 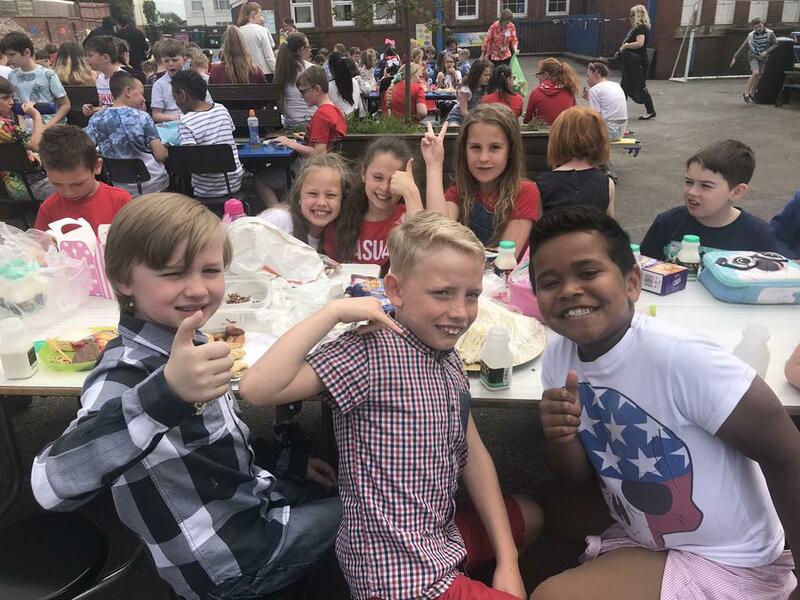 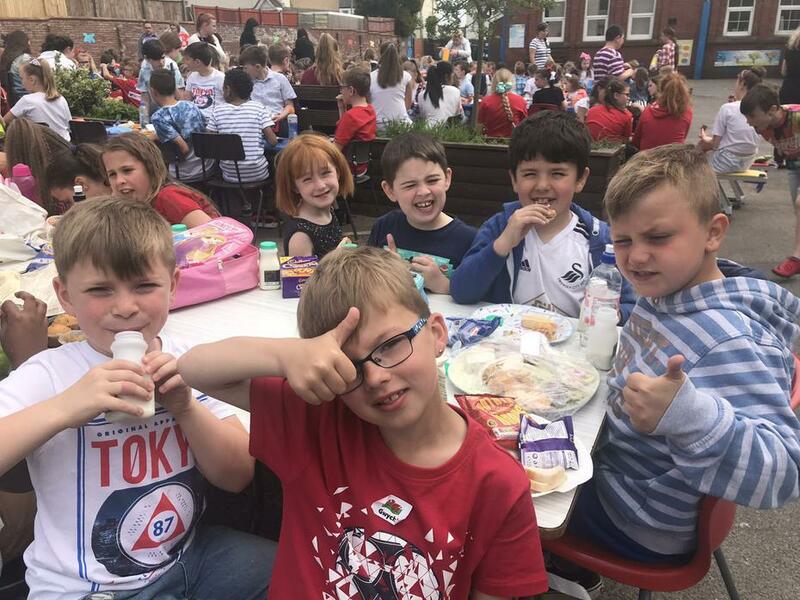 Year 3 enjoyed learning about Harry and Megan, but especially enjoyed the celebration picnic outside in the yard with the rest of the school. 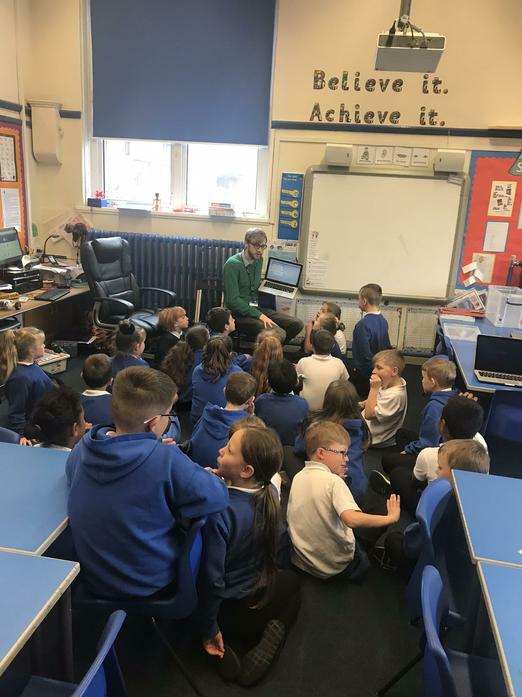 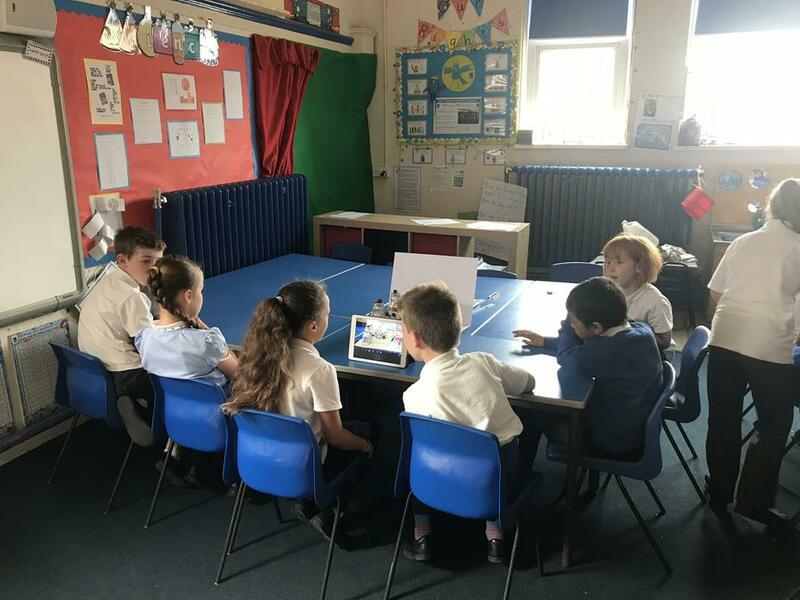 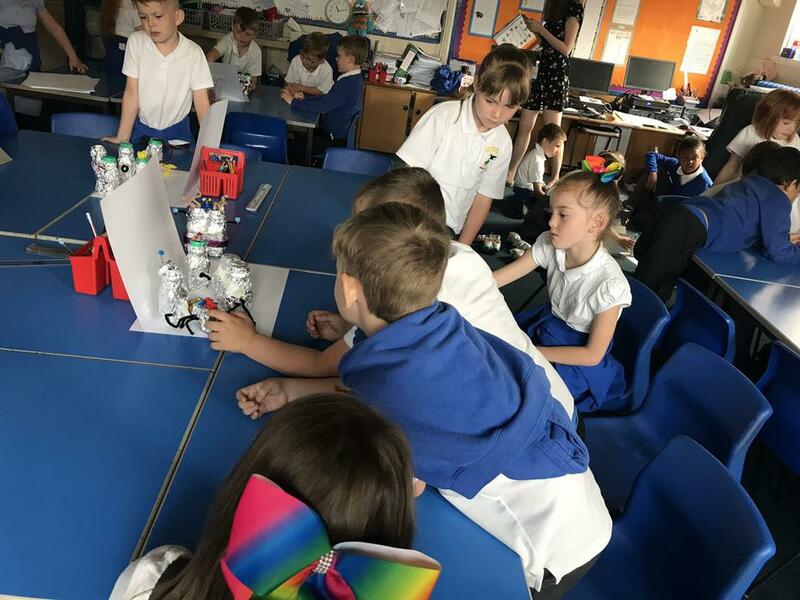 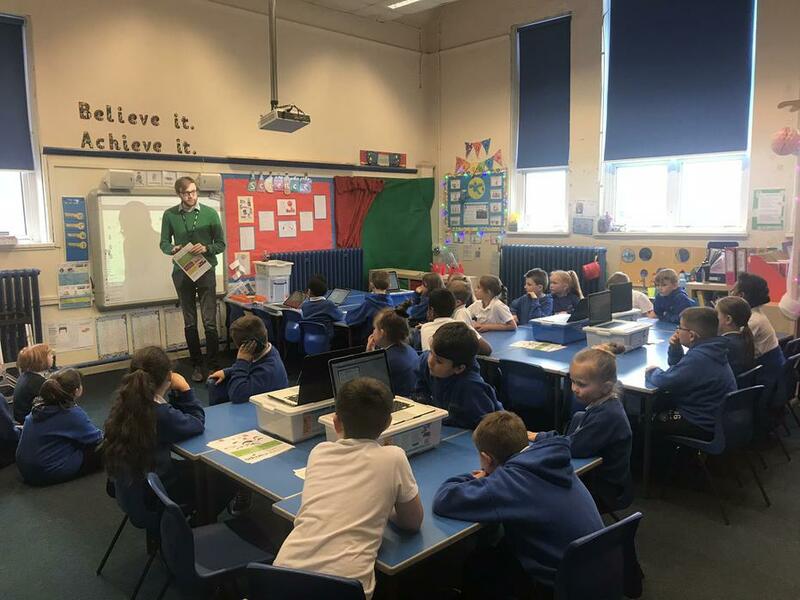 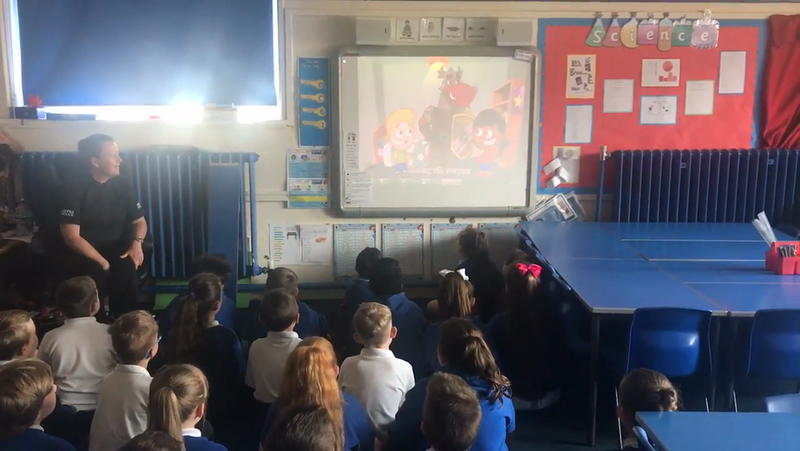 PC Parry visited our class on 17.5.18 to talk to the children about how to stay safe online. 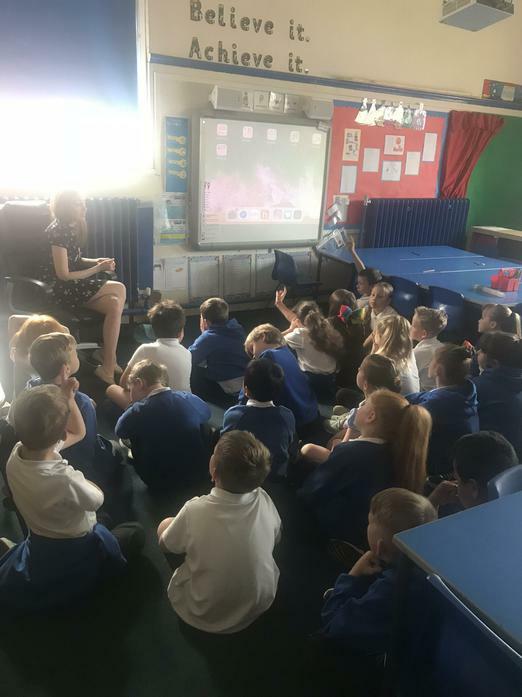 Listen to the song she taught us. 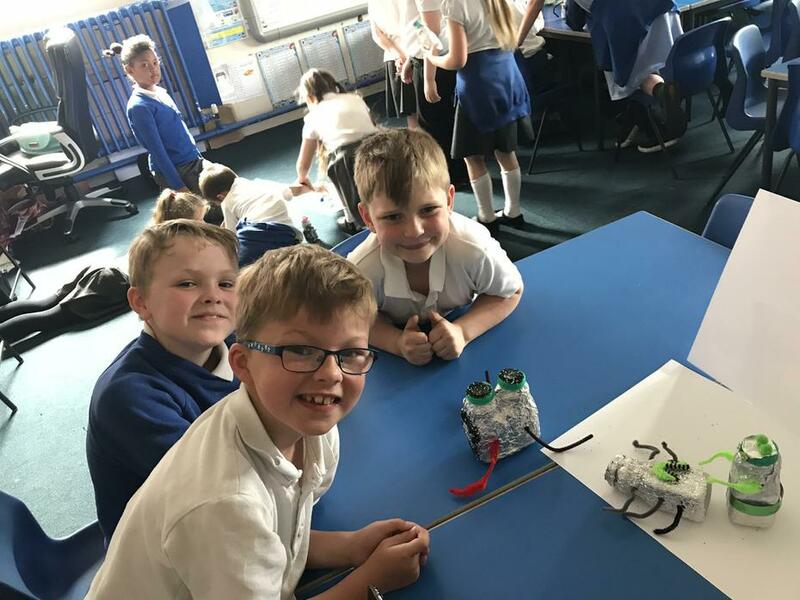 Our topic for the Summer term is 'Rise of the Robots'. 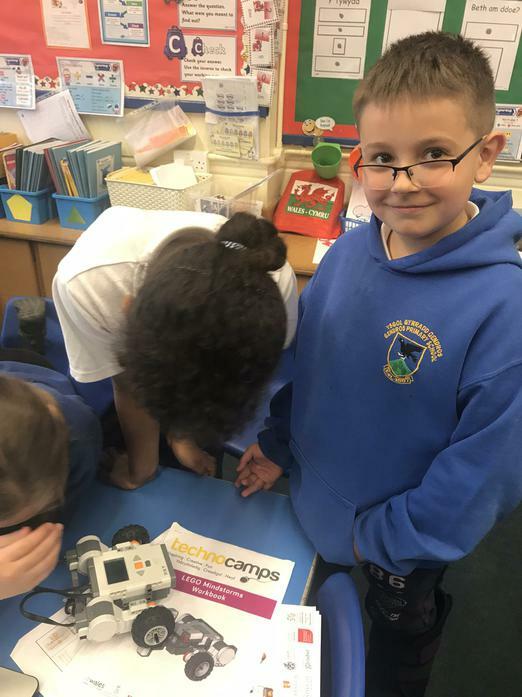 On the May 11th Mr Clement from Technocamps visited the class. 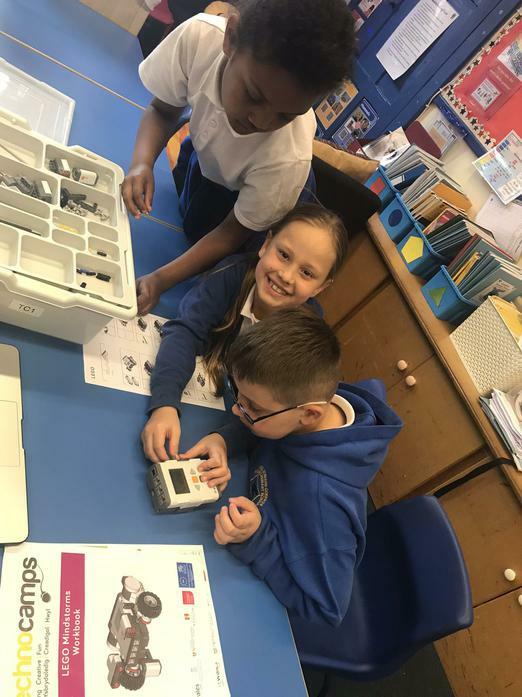 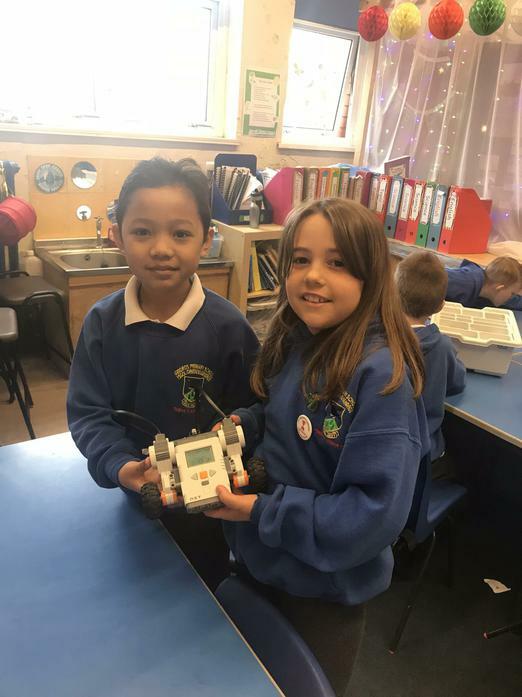 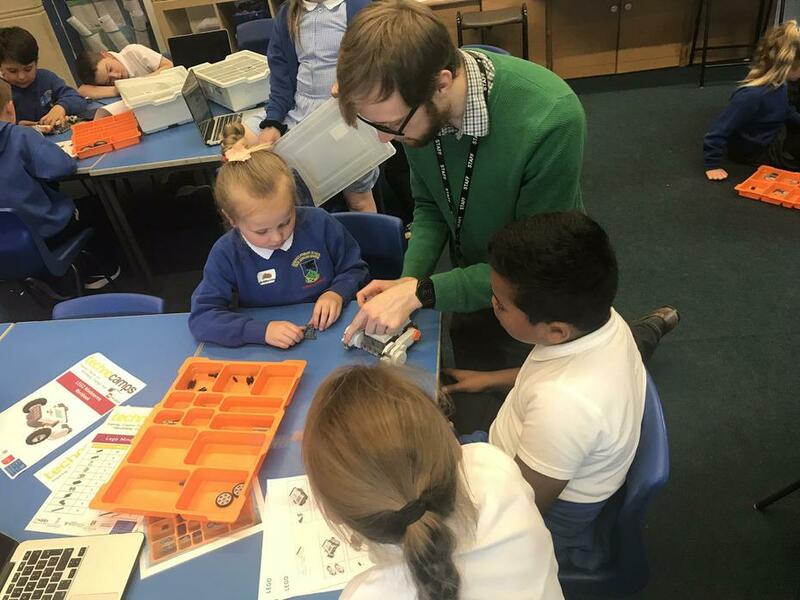 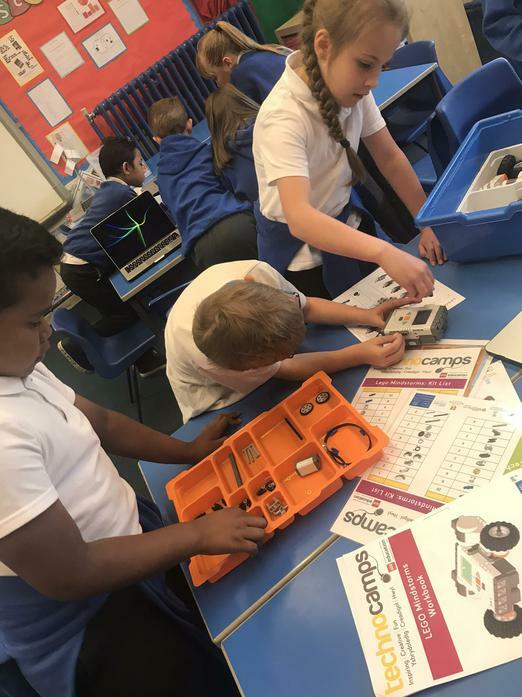 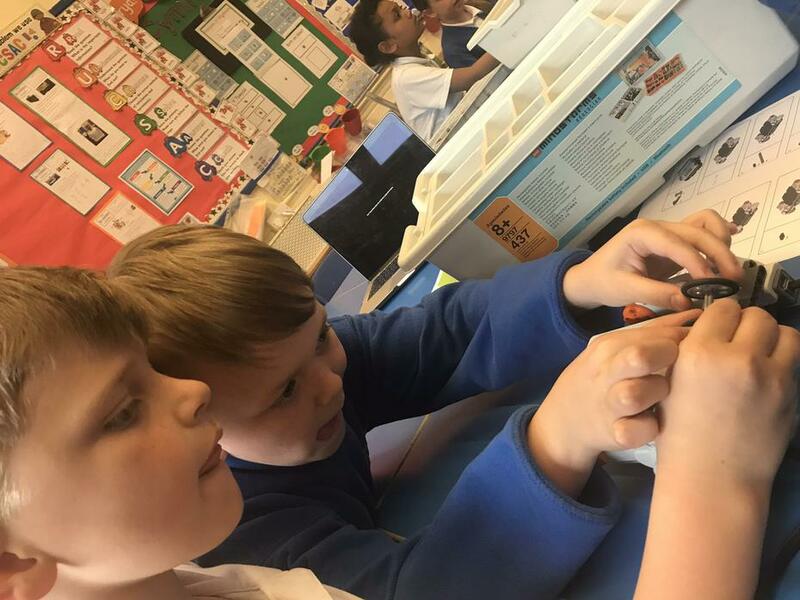 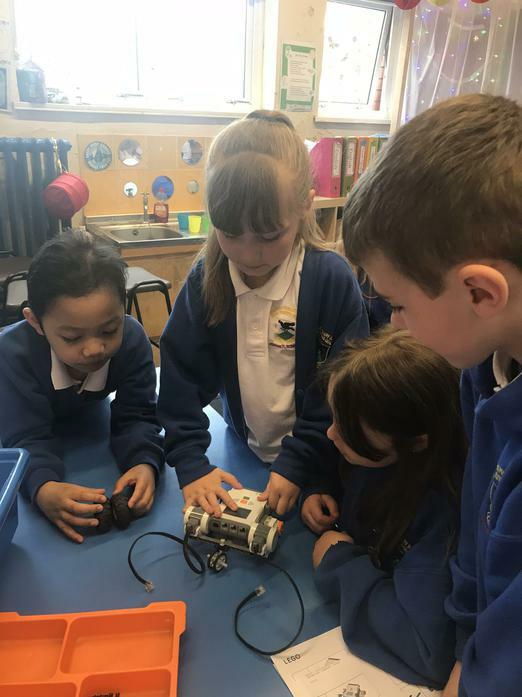 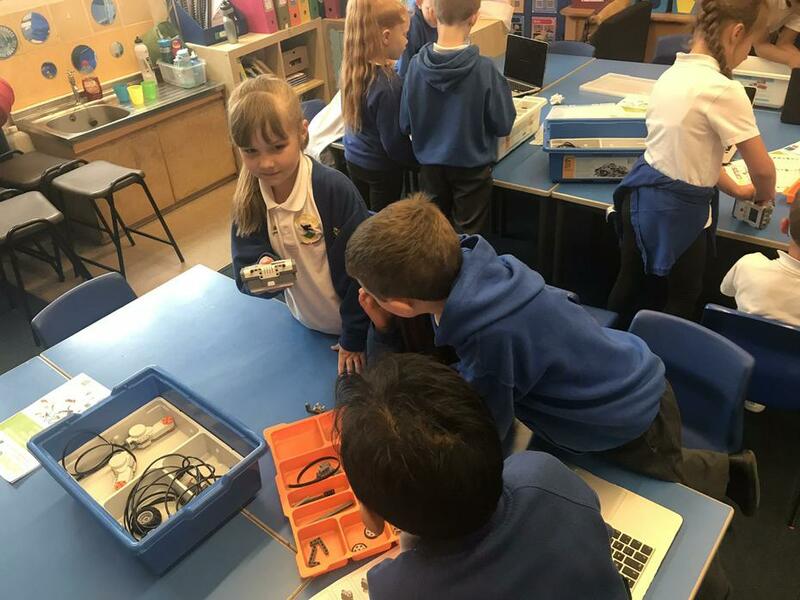 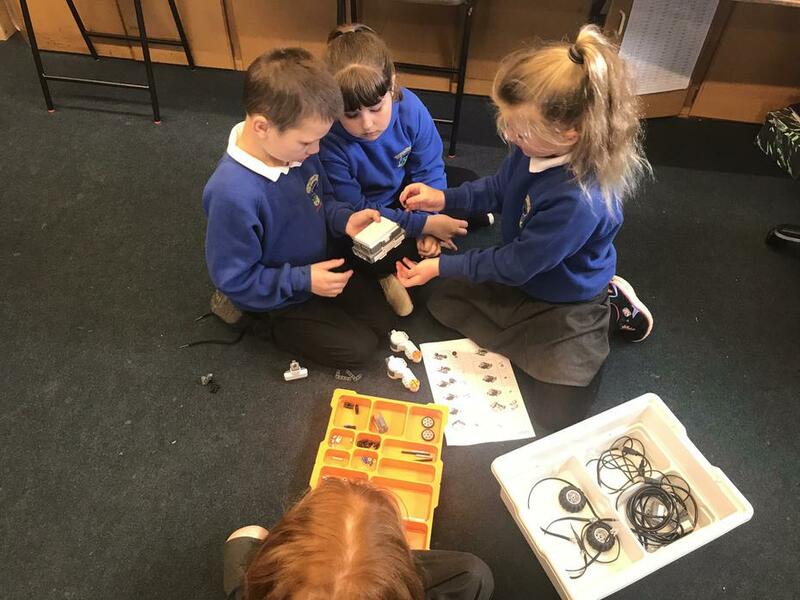 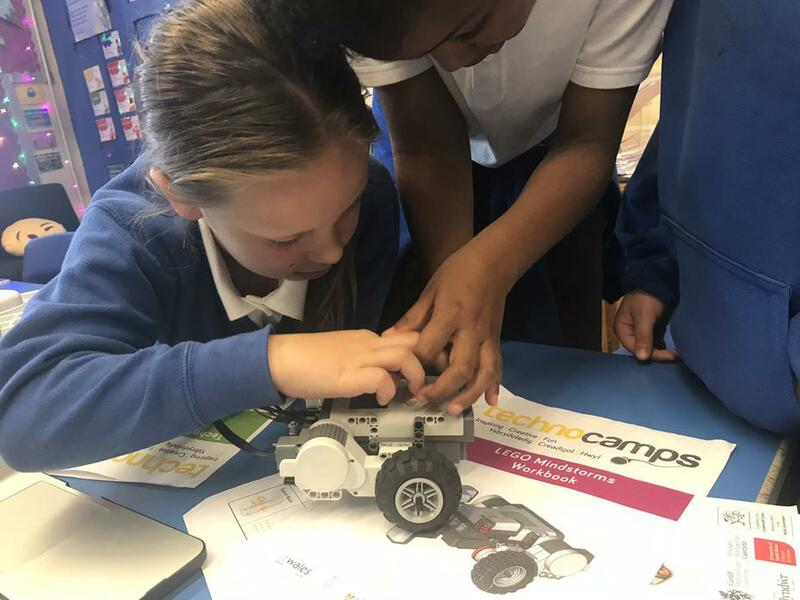 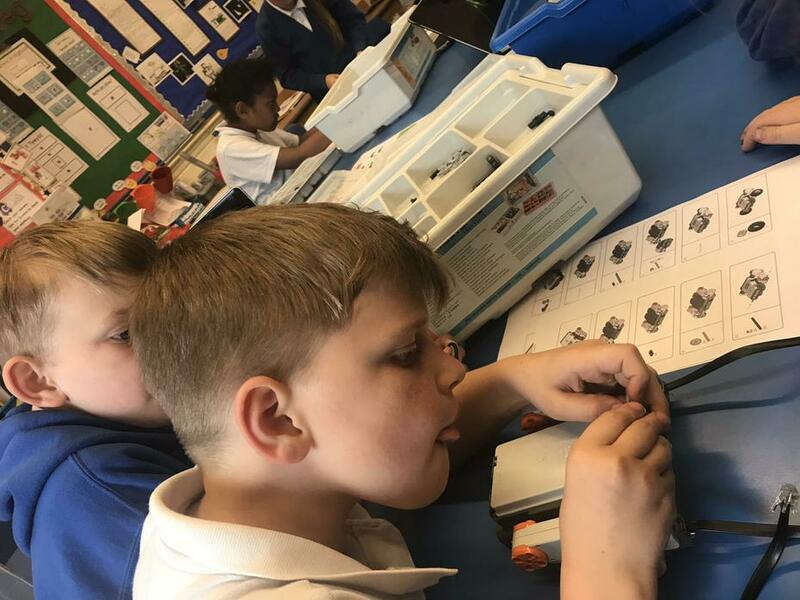 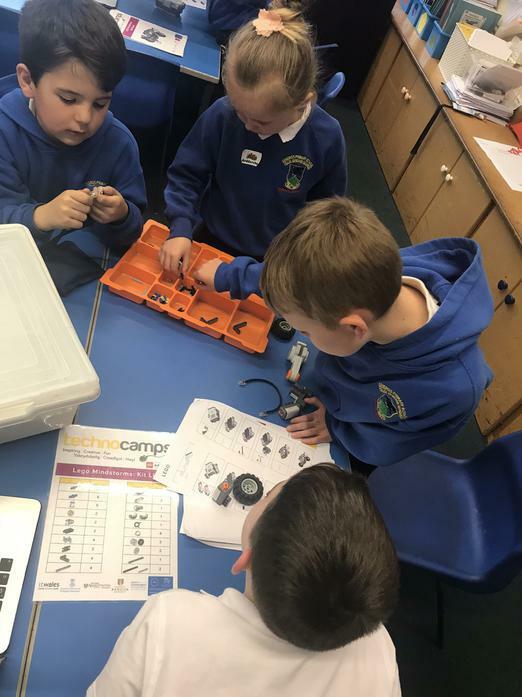 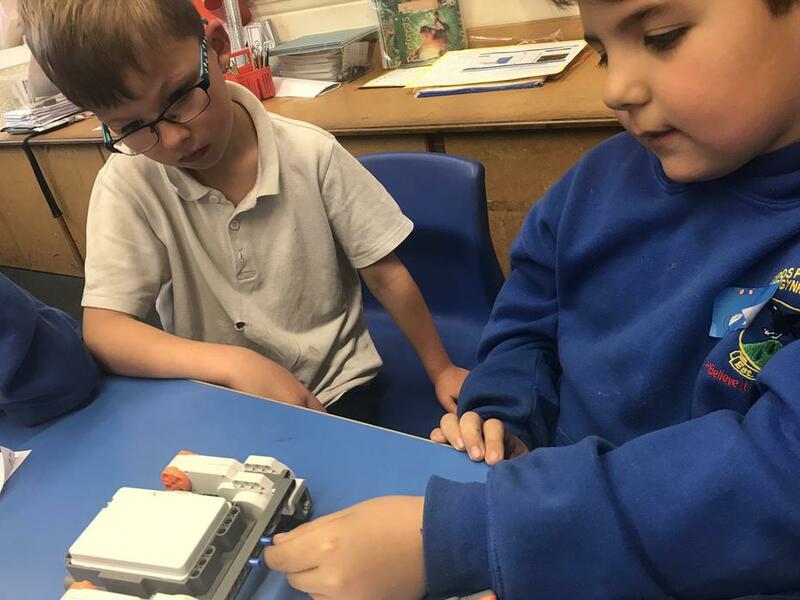 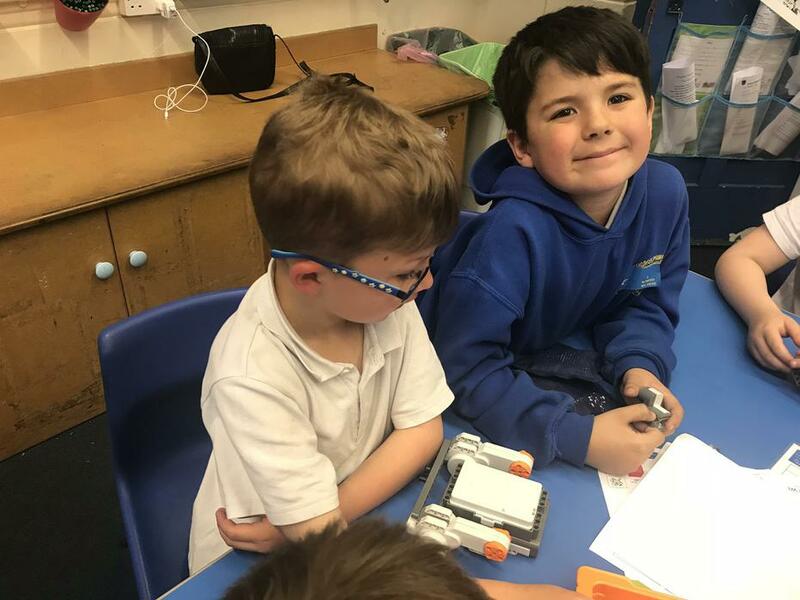 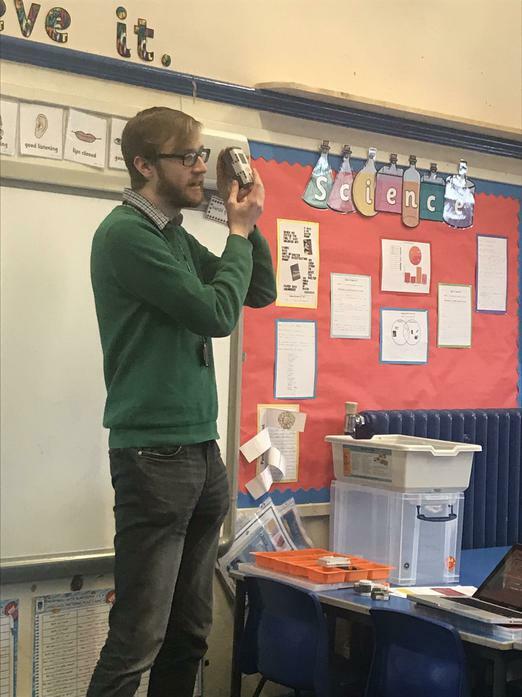 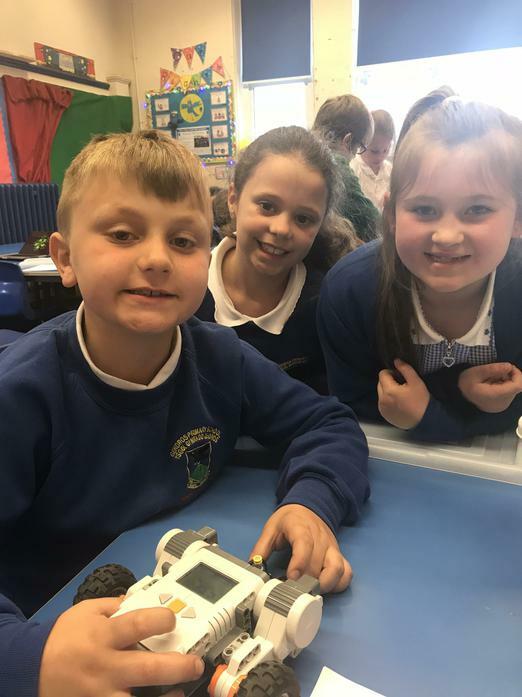 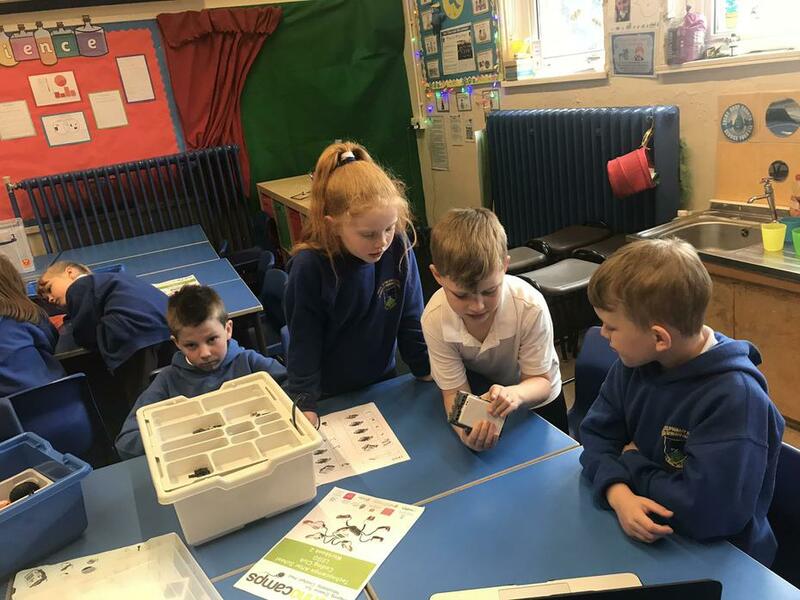 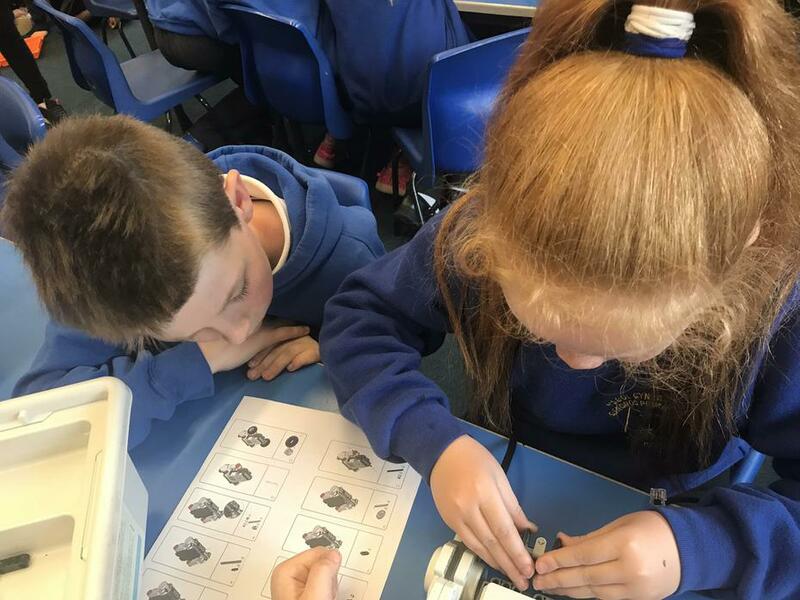 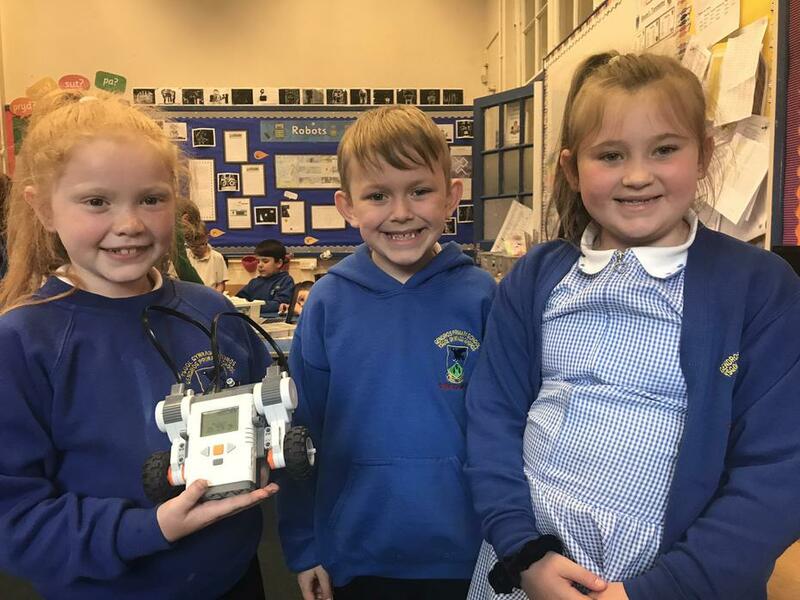 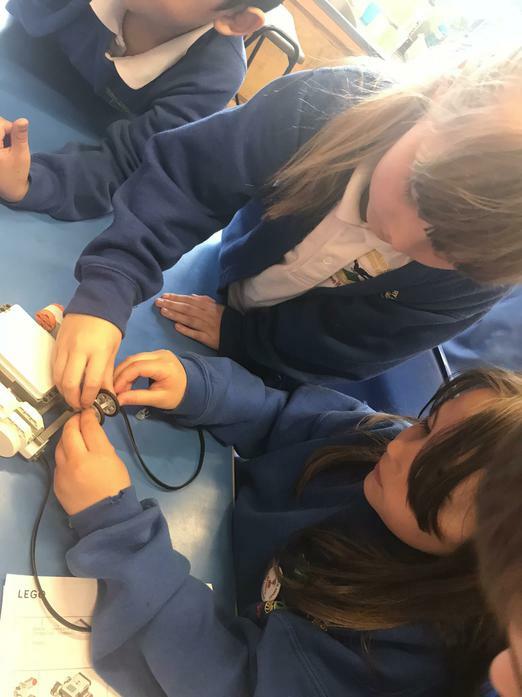 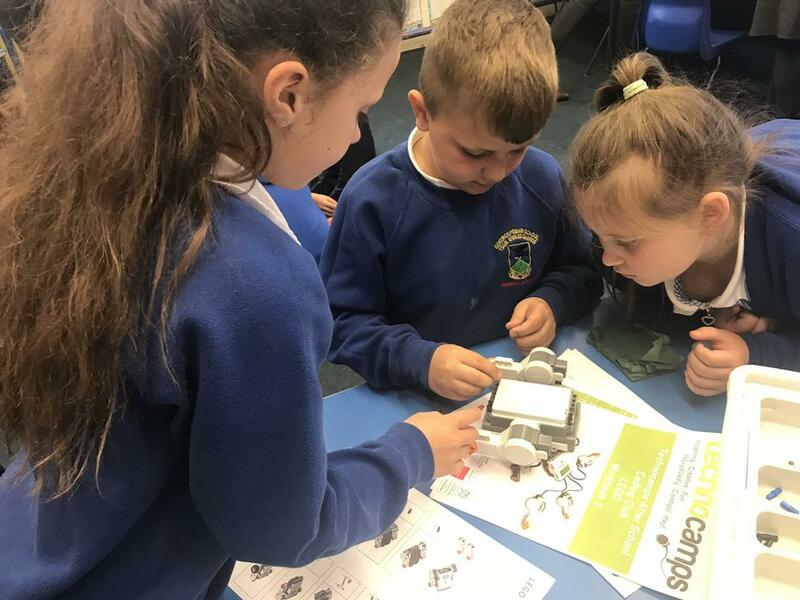 He showed the children how to build robots using Lego. 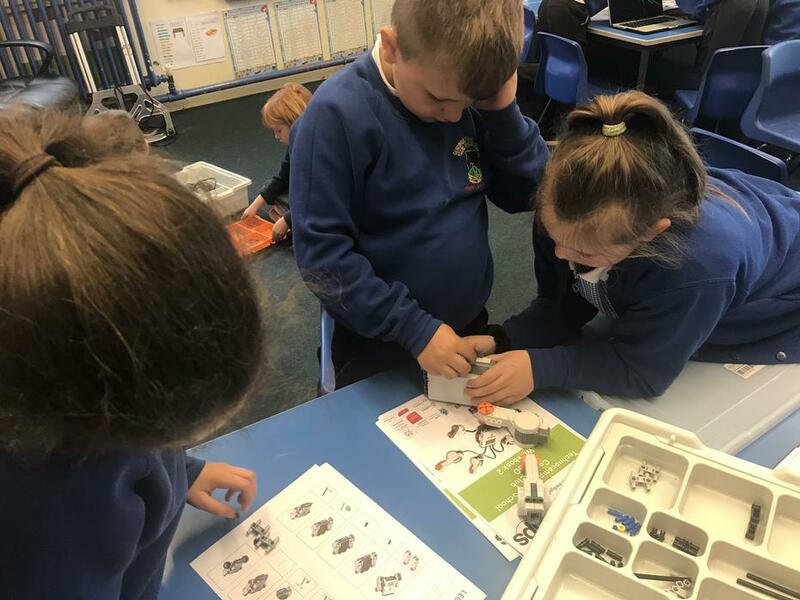 Following the instructions was tricky, but everyone worked well in their groups. 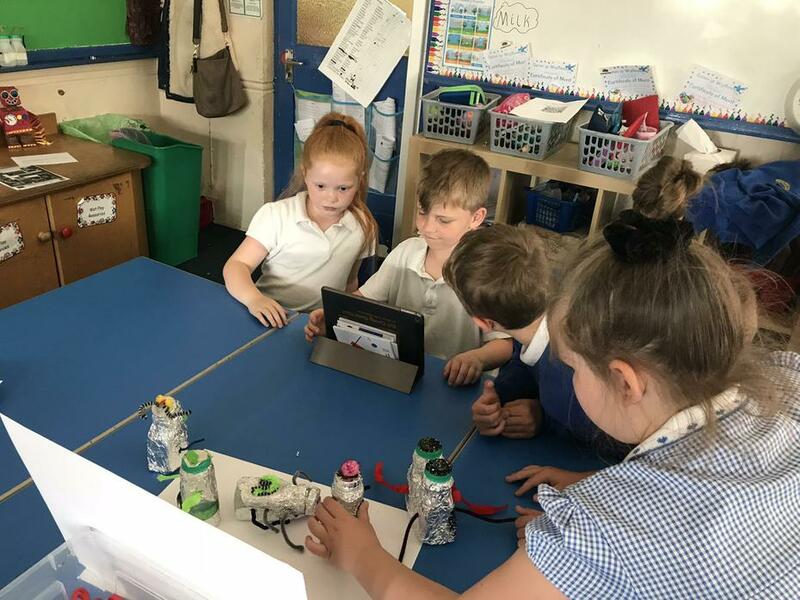 Then the children learnt how to make them move by programming them using a laptop. 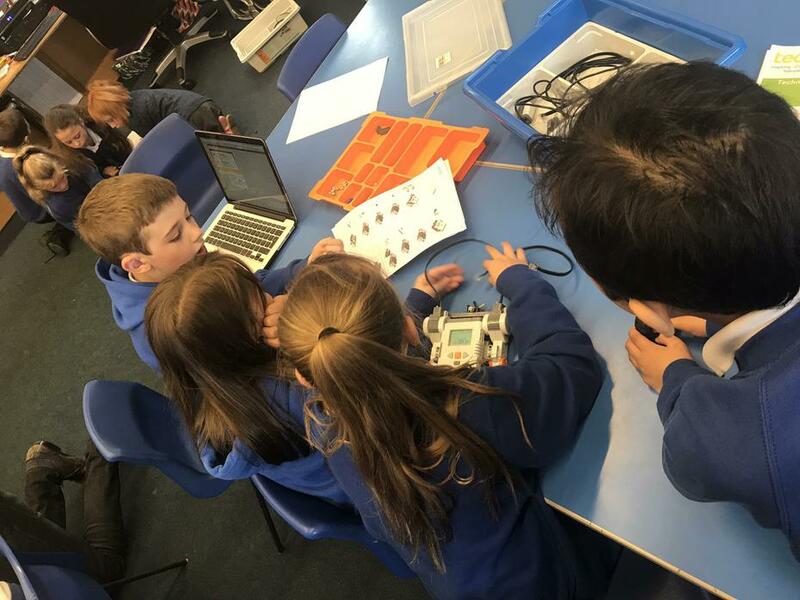 What an exciting afternoon filled with Computer Science and Robots! 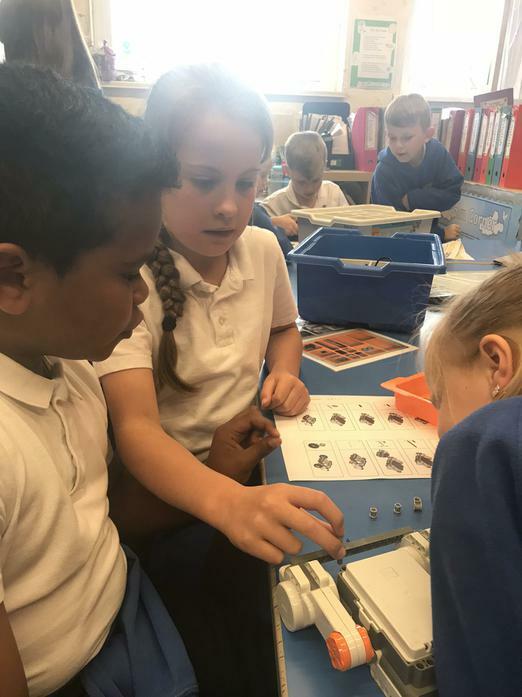 Year 3 had a brilliant afternoon at The Elba learning new sports skills. 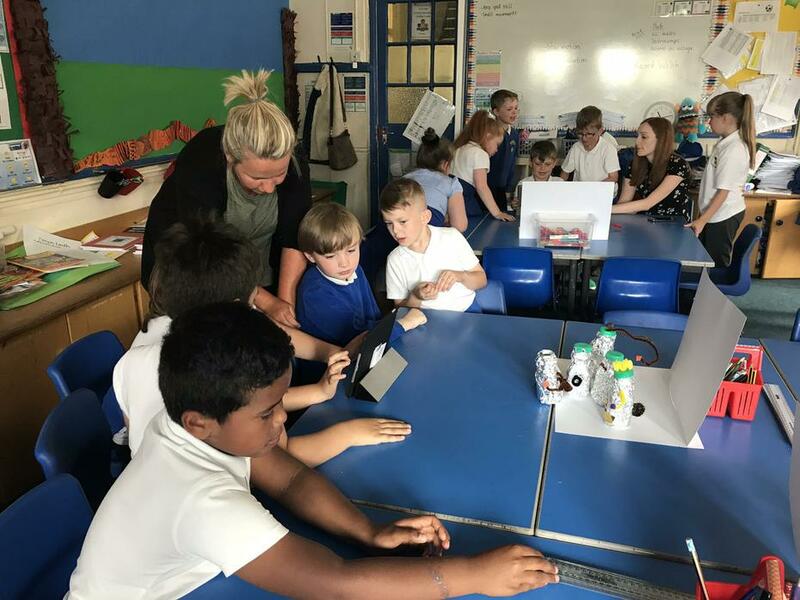 The students from Gower College taught them how to play various sports. 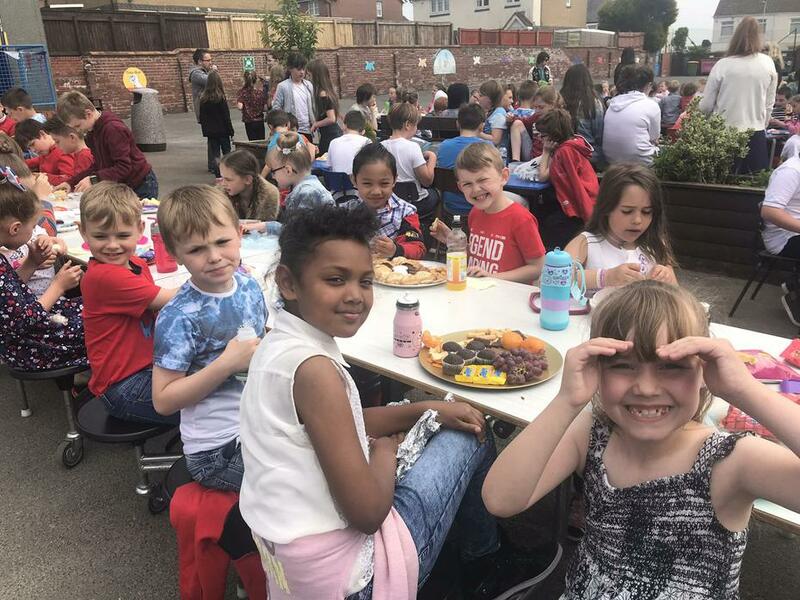 The children had great fun playing hockey, rugby, netball, golf and completing obstacle courses.